Have you ever searched Ebay for sediment samples before? Ever queried craigslist for water samples? Ever dug into the archives of a science history museum for soils? It’s not often environmental professionals find themselves utilizing the same tools as collectors and bargain hunters, as well as archivists, conservation scientists, and curators. However in the fields of Environmental Forensics and Environmental Research you might find yourself looking to unconventional resources when the circumstances call for it. Perhaps a bit of professional bias, but we most certainly agree with Mr. Elliott! In our research, and our work in Environmental Forensics, chemistry is woven into nearly every aspect: whether connecting industrial footprints to chemical fingerprints; demystifying the complex interactions of pH, temperature, groundwater flow, and heavy metals; or having an expert connect with a jury, chemistry matters. It is fitting then that what we’re reading includes the study of atoms and molecules, of their fate and transport, of their anthropogenic origins. As with most pursuits of humans, these texts touch on history, politics and conflict, too. Google “technology in the courtroom” and you’ll encounter 15 million hits on iPads and animation, LCD projectors and touch screen telestrators. You’ll find details on skyping in witnesses for testimony or using 3D printers to create demonstratives. You’ll find advertisements for CLE (Continuing Legal Education) classes from local bar associations. These hits are all in response to the “technological tidal wave” crashing onto the legal system. They reflect the collective need of attorneys and judges alike to anticipate, adapt, and accept the latest gadgets, and employ them effectively, efficiently, and ethically. . . without drowning in apps, cords, and associated lingo. But, as we noted recently in our post on essential apps, attorneys aren’t the only ones in the courtroom with a need to be tech savvy – experts should be too. Not simply because it’s the latest fad, but because well-presented data in concert with engaging testimony are part of effective expert witnessing. If technology can enhance that connection with the jury and make one a more effective expert, then it makes sense to embrace those tools. Still not sold? Below we’ll cover more of the why, as well as some of the “how” in terms of best practices for use. 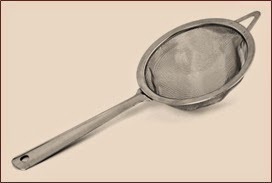 When is a strainer a container? When it’s a leaking landfill that conformed to the “state of the art” at the time of construction. How can that be? Well, that's the case law – for now – in the Western District of Michigan. Case law? How does that relate to experts? It is important for you, the expert, to know the case law or precedent governing certain issues on which you are providing expert opinions. The jurisdiction of your case – whether in state or federal court - dictates the case law the judge will abide by when making his/her rulings. Knowing to ask your attorney about the applicable case law not only demonstrates your knowledge of the legal system, but more importantly having the information ensures you are sufficiently aware of what the court will be considering on various issues when you are forming your opinions, preparing your expert report and testifying in deposition and at trial. Here we explain the basics of the U.S. court system and provide an example of how case law was used to resolve a question of law concerning a pollution exclusion provision in an insurance coverage matter involving groundwater remediation. We blogged about the illegal dumping of PCBs into sewer systems in North Carolina and South Carolina a couple months ago, and wanted to provide an update. Today, both states continue to struggle with disposing of this persistent compound even as federal investigations have yet to uncover the responsible parties. Meanwhile, wastewater treatment facilities and their customers are the ones paying the price. According to an area news source, the director of the Charlotte-Mecklenburg Utilities reported that PCB cleanup at its plants has to date cost nearly $4 million. He estimates that completing the job could cost anywhere from another $6 million to $9 million.